The Automotive Technology Program at the Center for Technical Education provides an opportunity for students to pursue an exciting career in the automotive industry. Students gain hands-on training through the utilization of state-of-the-art equipment and current technology. The estimated shortages for entry-level automotive technicians is over 200,000 in 2014. Competitive salaries in the Worcester area reflect this need for trained automotive technicians. Co-op is an individually written plan whereby an Automotive Service Technology student is place outside the school in a job which correlate with the classroom instruction. 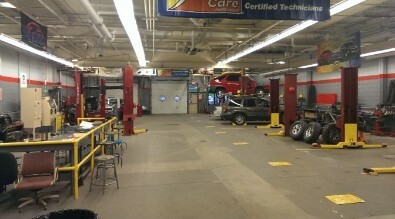 The Co-op work experience is to be scheduled in addition to regularly scheduled Automotive Service Technology classes. Is becoming an Automotive Technician for you? Are you a hands on person and good with computers. Do you enjoy using your head to figure out solutions to real life problems, having the skills to make the most solutions work, and take real pride in being able to do it yourself successfully? This way of thinking sets you apart from the average student, and it’s exactly the kind of attitude that can mean success for you as an Automotive Technician. Today’s cars and trucks feature more sophisticated components, including electronic and computer controls, which are constantly updated with the latest computer technology. The smart vehicles of today require highly trained people to work on the vehicles, so technicians of the future must be highly educated, and prepared for life long learning.